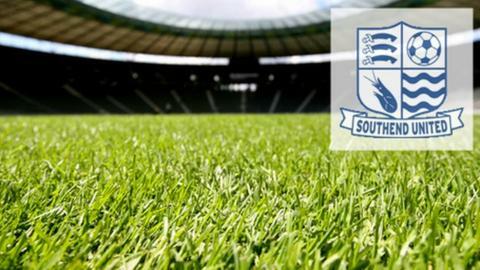 Southend chief executive Gary Lockett has stepped down with immediate effect after just six months in the job. Lockett took over in March when Tara Brady quit the League Two club for a job outside football. "The role is more demanding than I first appreciated and I have had to juggle my other responsibilities," he told the club's website. Lockett will remain a non-executive director at Roots Hall, a position he has filled since 2008. "The chairman, quite rightly, is very ambitious for the club's success, as I am, and although Ron (Martin) originally described the role as 24/7, I perhaps did not appreciate that that is precisely what is required and to balance my other business interests and meet the club's needs also is simply not practical," he added. "Nevertheless, the chairman has invited me to remain as a non-executive director which I am very happy to do and look forward to helping him and the rest of the board advance the club, including its move to the new stadium." Southend were given the go-ahead to build a new 22,000-seater stadium at Fossetts Farm four years ago. Last November, the club said they were in the "advanced stages" of starting building work, but so far nothing has happened. Retail giants Sainsbury's want to build a three-storey supermarket on their current site.